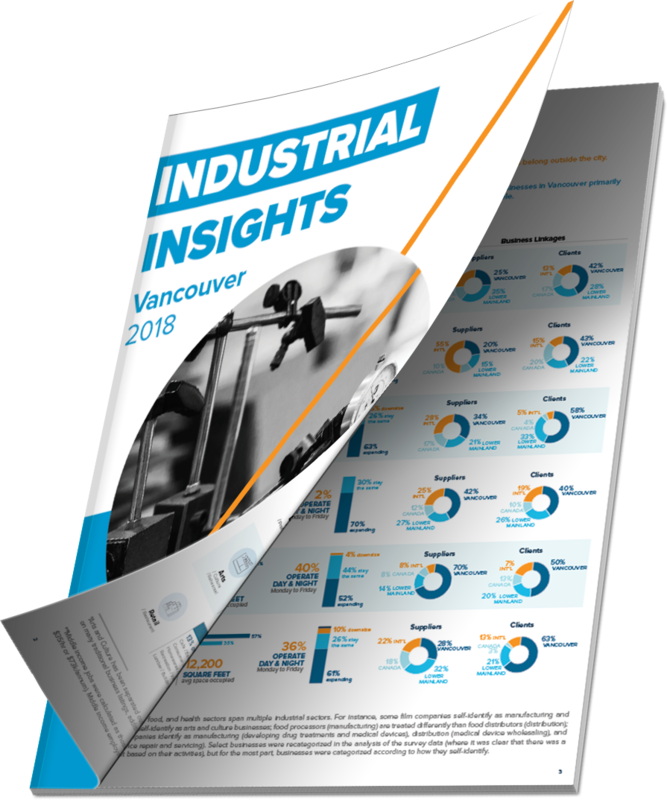 The City’s capacity to accommodate light industrial uses is shrinking; industrial land values, lease rates and property taxes are rising; and demand for industrial space is at an all time high. The Concierge Service is designed to activate underutilized industrial space to help save money, share resources, and increase opportunities for collaboration. The Industrial Concierge Service is addressing industrial space challenges in Vancouver by activating underutilized industrial spaces and simplifying the space sharing process for industrial operators. Spaces available in a functioning facility, spaces that are temporarily vacant due to potential redevelopment, and spaces which are used as storage but could be utilized more effectively. Through our partners at Spacelist, our network of businesses, BIA’s and industry associations, industrial research, and impact entrepreneurs. Matches made on basis of space needs, capacity building, opportunities for collaboration and resource sharing, timing, and desires of landowners. Engaging CoV Building Services, helping establish governance structures and financing models, and facilitating decision making processes. The MILL is a shared operating space for deconstruction, remanufacturing, and upcycling businesses to share knowledge, equipment, and resources and encourage the salvage and reuse of building materials. The Flea Market is opening up additional space in its facility for local artist and artisan production space. Nestworks is a family friendly coworking space for product designers, developers, and small businesses working in apparel, soft goods, and cosmetics. Please answer in square feet. Approximations are fine. How can the space being used? E.g., Warehouse, Office, Shared, Studio, etc. Help us understand what challenges or obstacles you have faced in your search for new space or in finding colocation partners. How long have you been looking for space? Please outline any challenges you have experienced in looking for space. Examples include, but are not limited to: permitting, zoning, availability, etc. Data will not be tied to your name.